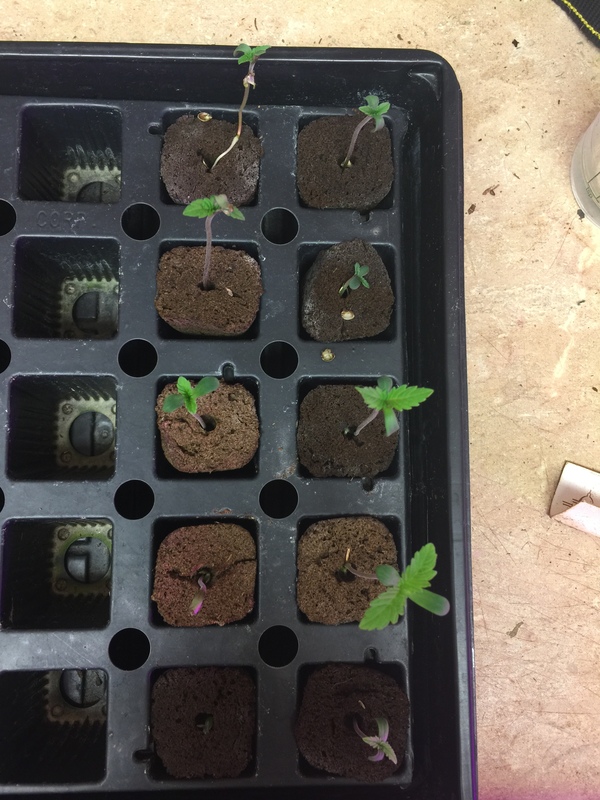 After soaking, the seeds were put to germinate in paper towels, will place them on rockwool cubes to sprout them after that. Fixed it bro, thanks @ryasco. I found the other half of the seeds! WOOHOO! Decided to keep 8 of the ten. Figure I will run these with you guys if y’all don’t mind. I like to make posts of every single move i make. 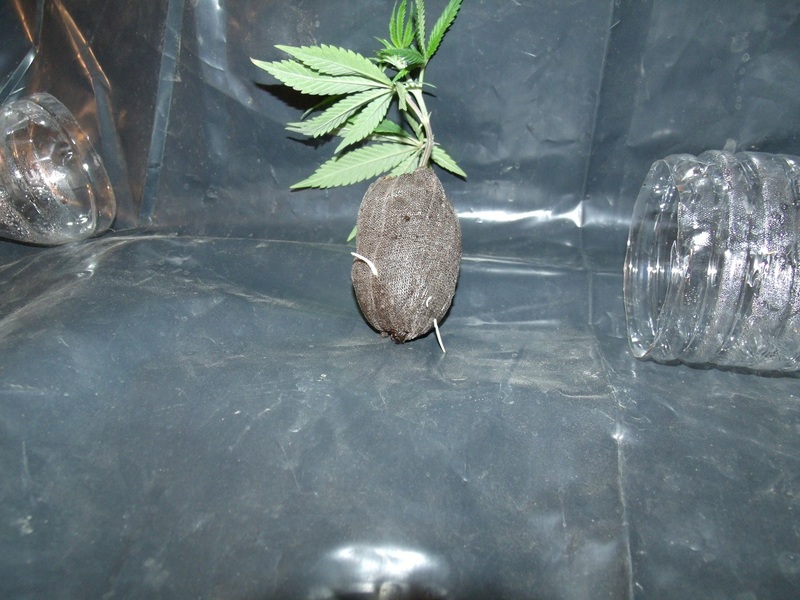 So here it is the LGxS already cracked and put to rockwool, i expect tomorrow somw of them will show cotyledons. Still got a couple that need to crack. Well on our way. Not bad for 12 hours. Rockwool presoaked @ 5.5pH overnight, in the morning it was @ 6.8pH, so it was corrected and the rockwool was then soaked again for a few minutes before placing seeds on the plugs. how to do this. Your words mean the world to me bro! 10 Seeds showed cotyledons already, and 4 more are on the way up. We are gonna get 100% germ rate on this Mr. @LED_Seedz! 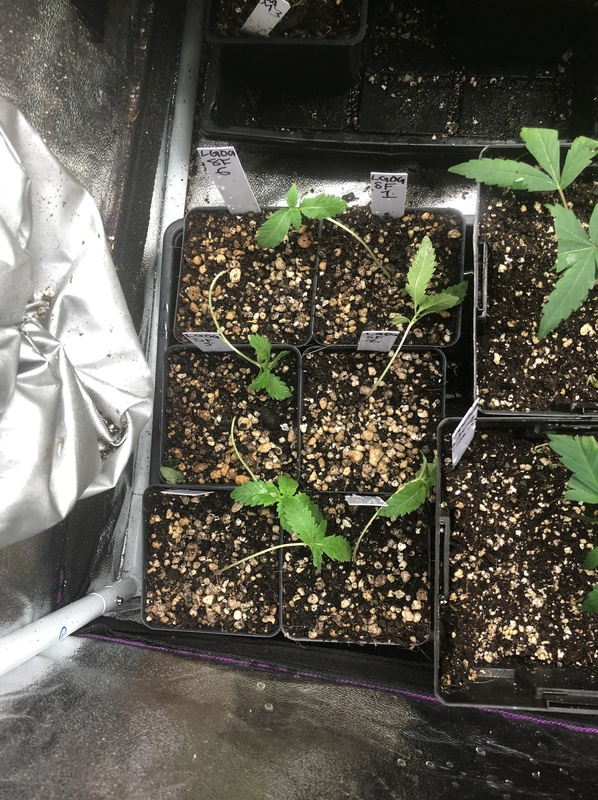 I put 14 seeds to germinate and 14 seeds sprouted, i killed one accidentally and here we have the remaining 13 seeds with cotyledons and already transplanted to coco. 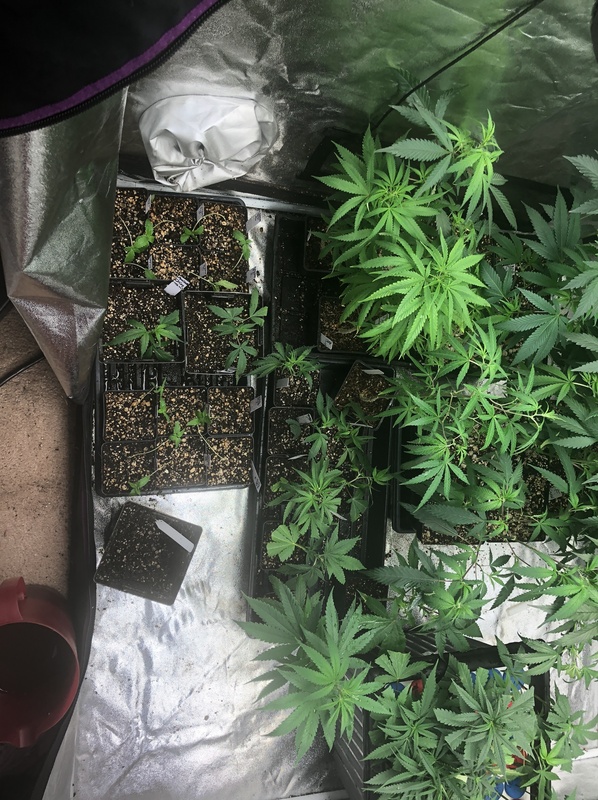 Gave them 40% solution Sugar Daddy and Root 66. 350ppm and 5.8pH. Hey @Swampthing, I'm not sure what exactly you are up to with the clones, but maybe you would get more exposure if you started another thread for it. Let's try to keep this thread on topic. Thanks. Going to be popping mine in a day or two! Started germinating 12 LGOGxStarfighter today. They're in Jiffy pellets. That is all. Sounds exciting! Show us man! 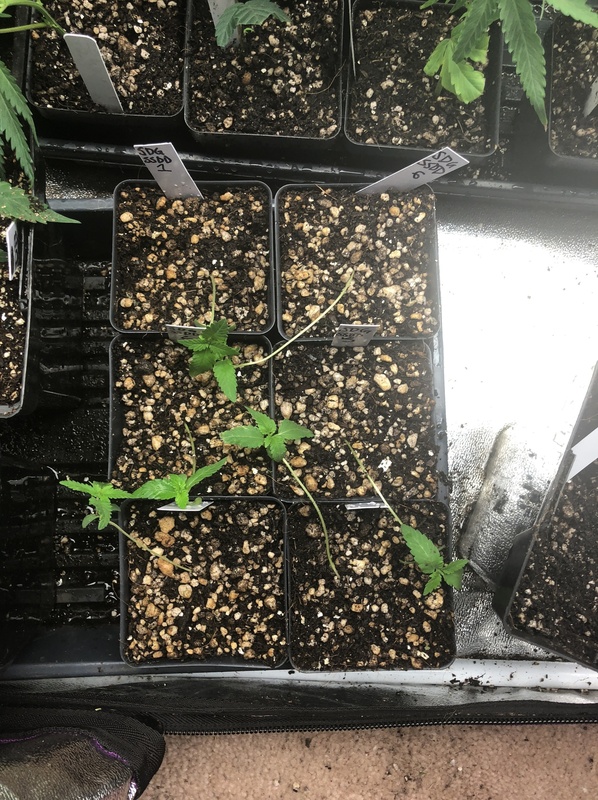 We love to see cotyledons! I'v never stopped using them since when I learned you could take them. I wonder how long of a trade secret it was? I didn't know till I first came to OG in 04. We use the 42mm. Can't find them local. They say they are seasonal. rollseyes. Just ordered 100 for $14.00 way cheaper than buying local sorry to say. 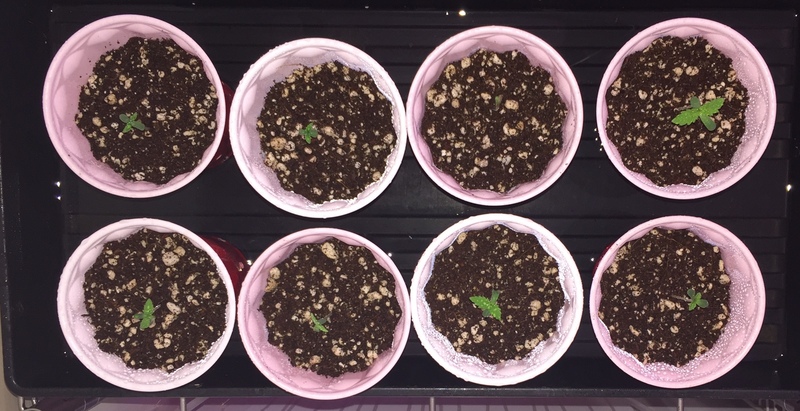 Update 8 of 12 have sprouted so far. I expect the others will be up in a day or so.